WOW JUST WOW!! WATCH OUT BOSE!! APPLE IS COMING FOR YOU. From the first song I played after I unboxed this thing I was blown away. This speaker is extremely loud especially for its size. I songs with bass it songs gre From the first song I played after I unboxed this thing I was blown away. This speaker is extremely loud especially for its size. I songs with bass it songs great but doesn't over power like some past beats products. On rock and other types it's crisp and clear. I would easily say this is the best mid size Bluetooth portable speaker. I had a UE boom and I thought that thing was nice when I first got it. But the pill+ blows that out of the water by a lot. 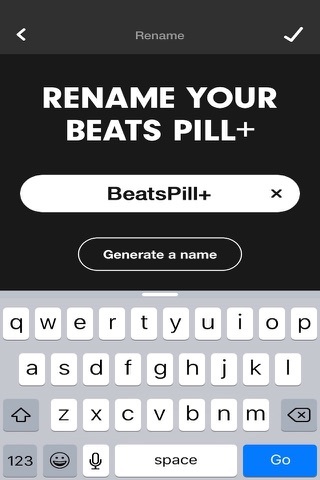 Looks like Apple is making beats awesome for all types of music to be played. Also making beats classier with their design. Keep it up Apple you have converted a once skeptic of beats to a huge fan. I'm not surprised as I knew apple would put there name on something that wasn't best in class. WATCH OUT BOSE YOUR DAYS ARE NUMBERED!! Is this review useful?WOW JUST WOW!! WATCH OUT BOSE!! APPLE IS COMING FOR YOU. 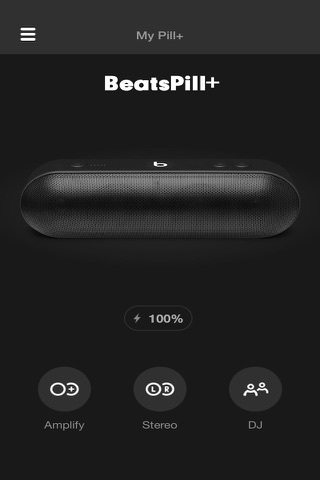 The Beats Pill+ is kind of amazing. I moved recently and decided to not bring along my trusty Bose computer speakers due to the cumbersome nature of their size The Beats Pill+ is kind of amazing. I moved recently and decided to not bring along my trusty Bose computer speakers due to the cumbersome nature of their size and power brick. After being speaker-less for a while I decided to get this. At first I was unconvinced that its size would produce the kind of sound that I wanted, but after a couple days I was absolutely sure this fulfilled my needs. I'm kind of an audio freak and also have a several thousand dollar stereo system. So I know what good sound is. Does this live up to a high end stereo? Of course not. But people - for something the size of a Subway sandwich, I'm absolutely blown away at the quality of this. I keep wondering where the bass is coming from! But don't get me wrong - this isn't just an overpriced subwoofer... the Pill+'s mid and highs are top notch too. I literally can't get over that the sound is coming from this little thing! The design definitely harkens to Apple design - it's simple, elegant, and understated. I found the original and 2.0 version of the Pill to be garish, and this redesign just puts it to shame. Starting with the simple control buttons (there's power, volume up, volume down, and the 'b' logo) they're coated in a nice, thick, yet responsive rubber material. The have good click and good travel and I never found myself wondering where the buttons were or if I had pressed them. This Pill+ is heavy too! It feels solid and I have no fears that it will easily be damaged. In fact this may damage anything it comes in contact with. The back features a two-stage port cover. The very tip of the cover can be undone to expose only the Lightning Port for charging/keeping plugged in. The cover can also be completely moved to the side to show a USB port for plugging in a cable to charge electronics on the go and a 3.5mm jack. It's a really cool design that doesn't require you to have a cover hanging off for charging. My only concern is an early adopter concern: I hope they don't come out with a Space Gray version, otherwise my OCD may make me upgrade. But this black is hella good looking all things considered and probably more svelte than a pseudo silver object... but who knows. At first I was concerned that they're planning a new Pill+ XL, and I'll feel bad I got this, but honestly, I doubt I'm ever going to need more bluetooth/portable power than what this pumps out. I have a stereo system for that. This thing gets LOUD and not at the expense of quality. The app is well put together as expected from an Apple product, but don't expect to use it often. It's usefulness really comes into play if you have two, or you're listening to music with a friend. 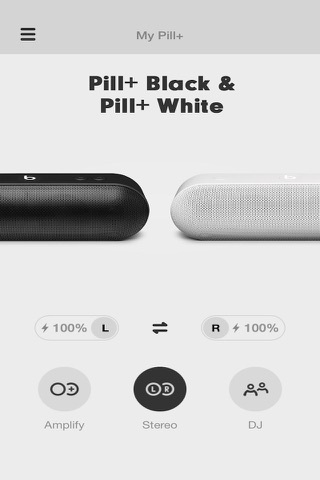 With two Pills you can link them to either get louder sound, or operate as L-R stereo. 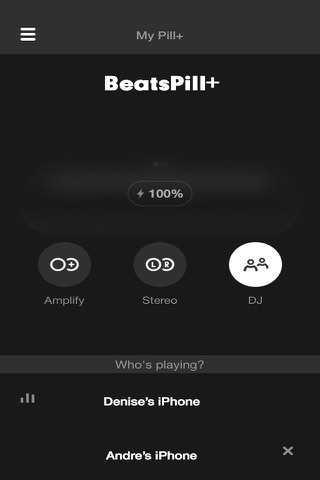 With a friend you can enter 'DJ Mode' which allows you to take turns playing music from your respective phones/sources. This shines with Apple products and just instantly works... sometimes bluetooth devices can be hit or miss with operation, but the Beats Pill+ is identified in the notification center with the Beats symbol and battery life and it "just works" when you press buttons and instantly finds your device and is ready to play in a matter of seconds. You pay a small premium for the Beats/Apple brand, but other speakers are priced at around $200 (such as highly regarded Bose bluetooth speaker) and I found this product fit my life better than the others. Is this review useful?Very Good Speaker! + Sounds amazing. + Small size (about an iPhone and a half in length). + Well made. Has heft to it, doesn't feel flimsy. + Charges through lightning cable. A + Sounds amazing. + Small size (about an iPhone and a half in length). + Well made. Has heft to it, doesn't feel flimsy. + Charges through lightning cable. A plus if you're like me and already have a few chargers laying around the house from your other iOS devices. + Looks good. - Kinda pricey. You can do research and maybe find one that sounds as good for cheaper. 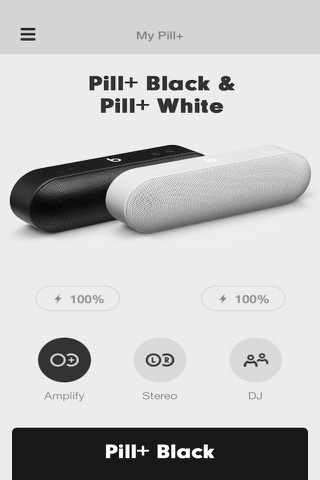 However, the Pill+ sounds good, looks good, and is well made; making it worth the money IMHO. Is this review useful?Exactly what I was looking for!